If you’ve been following along on my blog this week, you’ll know that today is the first day of my Valentine’s series ‘Love Stories’. 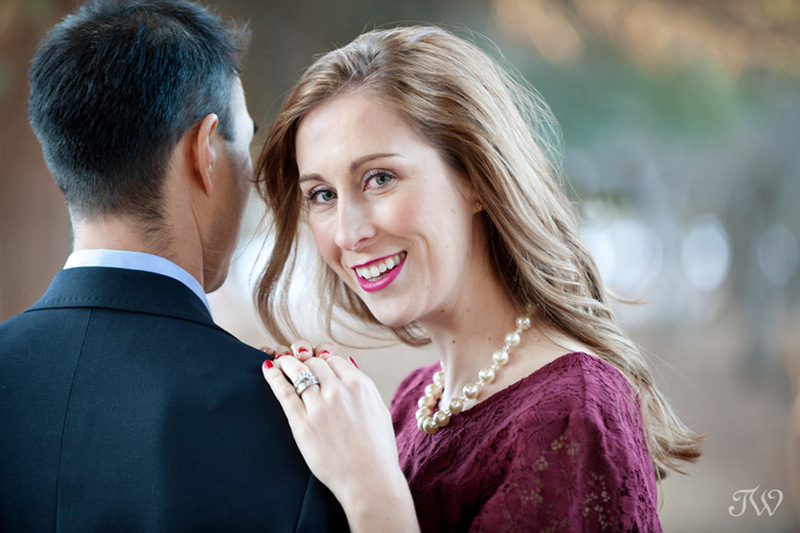 For the next three weeks, I’ll be sharing images and thoughts from real couples as they remember their wedding day, reflect on their marriage and offer tips to newly engaged couples. 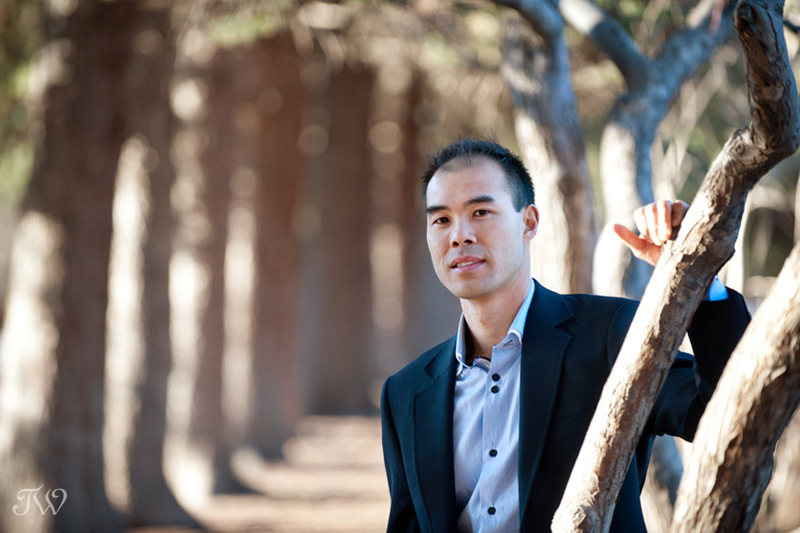 With that, I’d like to introduce Becky and James Kung. 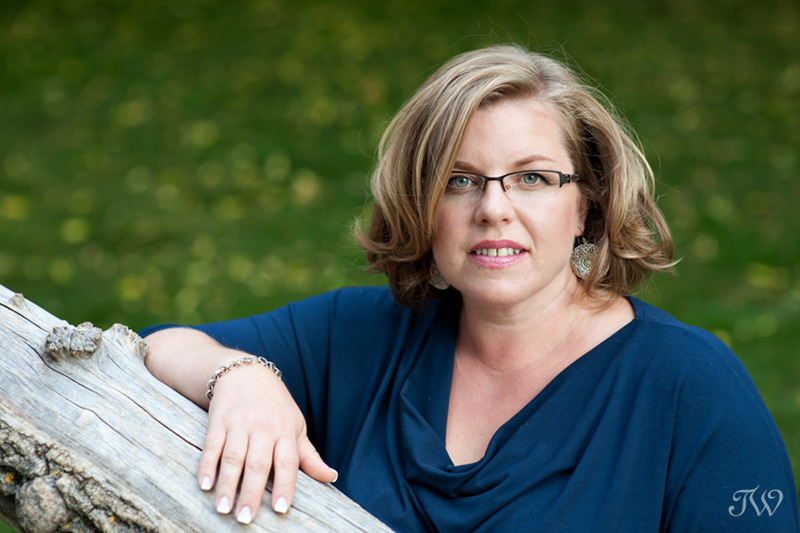 I first met Becky, a Style Blogger, while working at Holt Renfrew. I was so impressed by her kind and gentle spirit (in addition to her fab shoes), and I knew they would be the perfect couple to kick off this series. (T) How long have you been married? (J & B) 7.5 years. 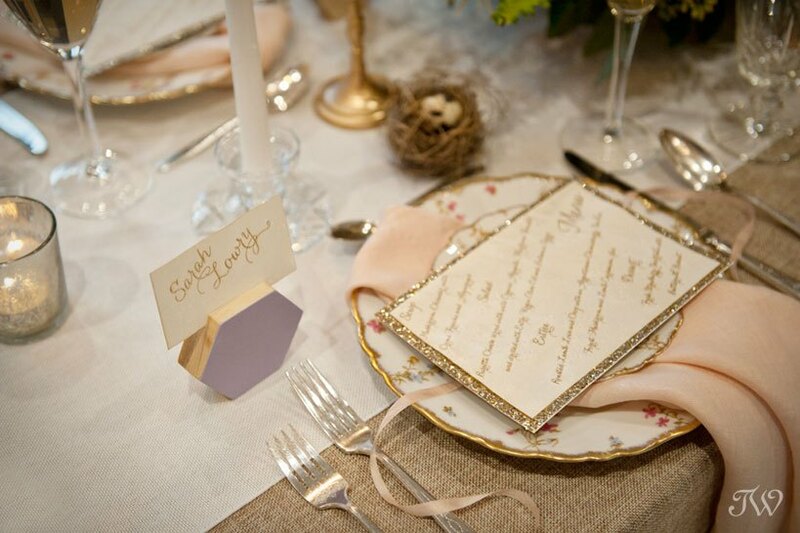 (T) What is your fondest memory from your wedding day? 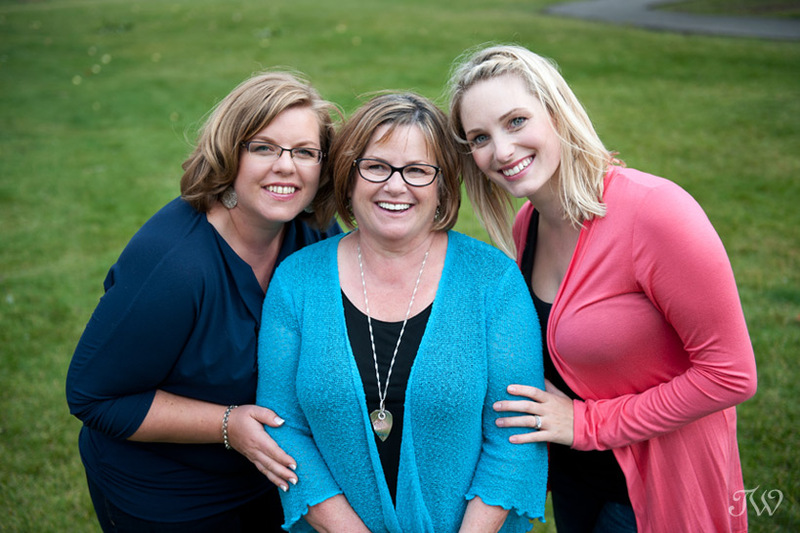 (J) I really enjoyed our photos together and with our bridal party. It was really fun and a great time to just let lose and celebrate, having fun with our dearest friends. (B) James’ expression when I walked down the aisle. His expression was this look of awe, love and a tenderness that I will never forget. (T) What do you value most about your marriage? 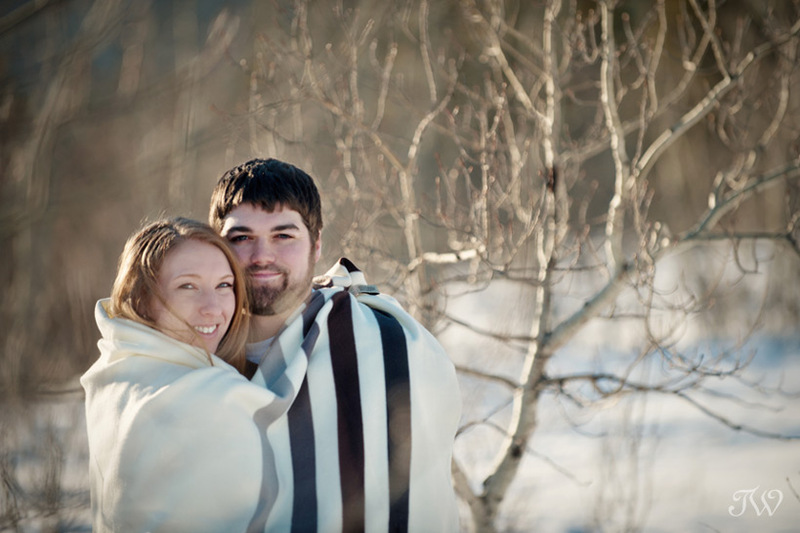 (J & B) We both value so much that our marriage is sacred and safe. And that we can truly be ourselves in the good and the bad, trusting in each other with our whole heart. (T) What is the most important quality in your spouse? (J) Becky’s nurturing qualities. She has such a caring heart and kindred spirit towards others. (B) James has so many qualities that I treasure and value. One of the qualities I treasure the most is how much he protects me. He has a very masculine-protecting heart and it means so much to me. (T) What do you admire most about your spouse? (J ) I admire that Becky has such a strong emphasis and love for relationships and others. She values and invests in people and building them up. (B) James is so resilient and always positive. He looks at life with his glass half full. (T) What do you do well as a couple? (J & B) We know how to have fun! When we’re in the mood, we’ll play our favourite dance tunes and rock it in our kitchen! On a serious note, we work well together when we collaboratively team together to work towards the same goal, whether it be a task or resolving a problem. This is when we really shine, working on a common goal. (T) How would you describe your marriage? (J & B) Our marriage has seen peaks and valleys, sometimes some really rough patches. Yet, we can look back and see how far we’ve come as a couple and individuals. Our marriage has been an adventure and a journey where we’re continually sharpening each other in life. Looking back over the recent years, our marriage has become something very sweet and full of fond memories. (T) What has been your memorable moment as a couple? (J & B) Our various travels together have by far been such fond memories. We love experiencing new cultures and going on adventures. We loved our trips to South Africa, various countries in South East Asia, Dubai, and the list goes on. We have come to appreciate trying new things outside of our norm. We also love trying new foods and exploring different wine regions. 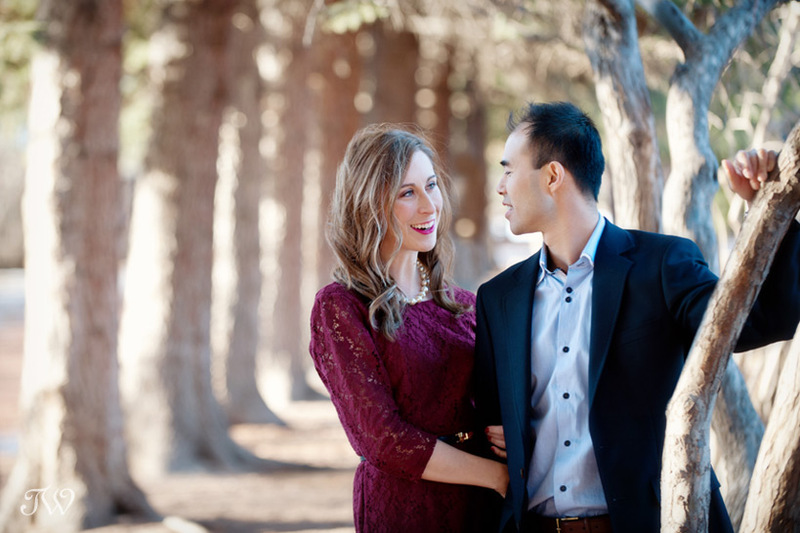 (T) What advice would you give engaged couples as they’re planning their weddings? (J & B) Our first piece of advice is for weddings. Truly celebrate your love, make it authentic and do what makes you as a couple happy. 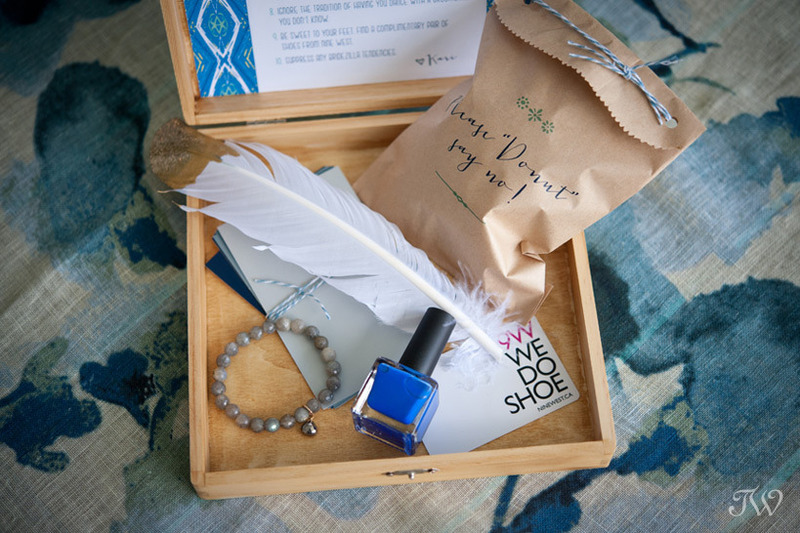 Don’t get caught up in the wedding trends and norms, make your wedding your own, because that day is sacred. Our advice for marriage is to be a good advertiser for your spouse. Always think about your words and actions and how you’re reflecting your spouse in all that you do. I hope you’ll pop back next week for couple #2. 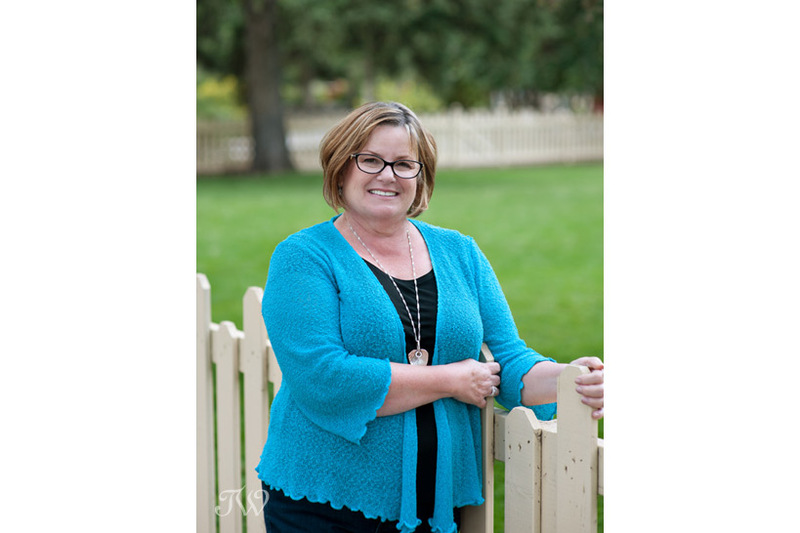 I’ll give you a hint, she’s a wedding planner in Calgary. 2015 is definitely off to a great start. 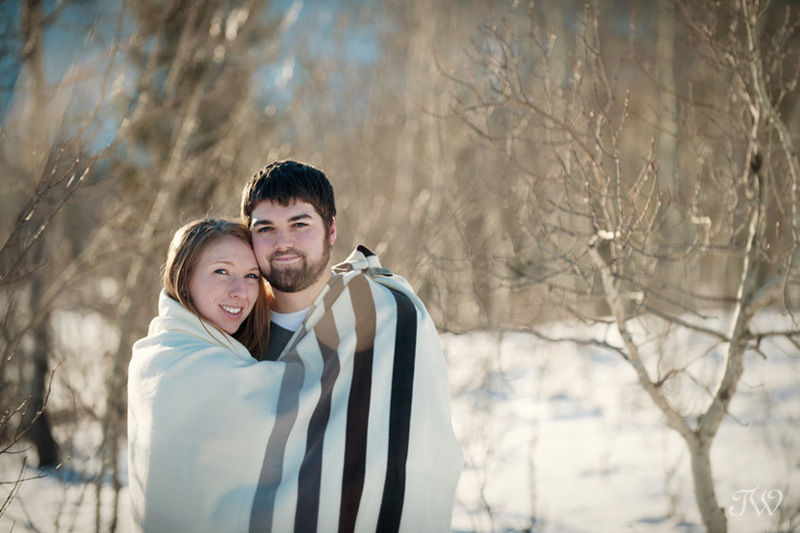 My first shoot of the year was with Megan and Kurtis who are getting married at Heritage Park later this year. I’m already excited about this one because I hear there are some fun DIY projects in the works. 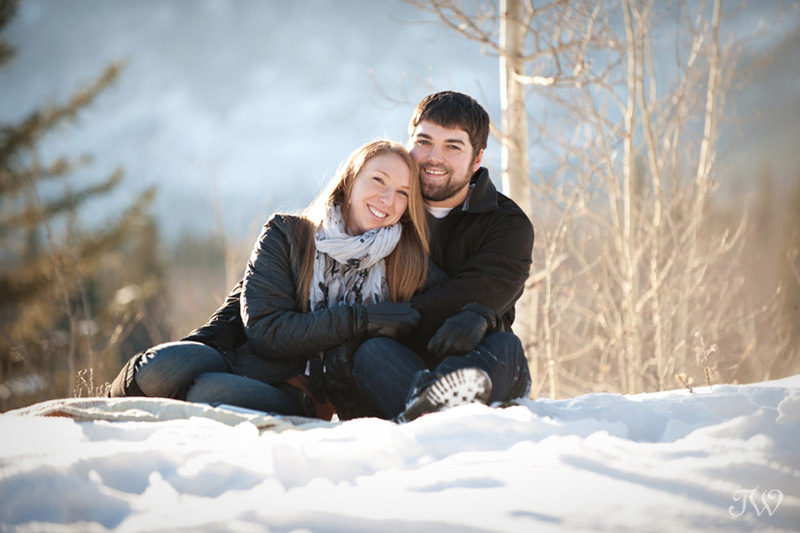 Kurtis proposed to Megan while they were snowshoeing so a winter engagement session in the mountains was a must. 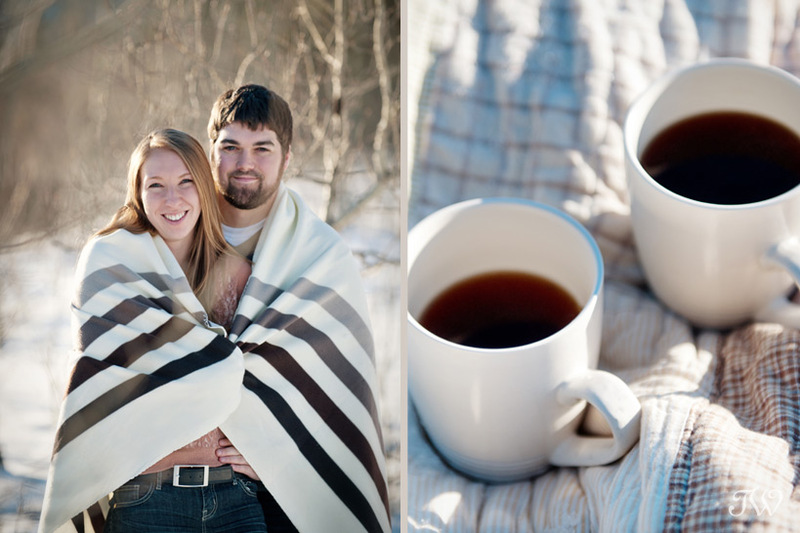 Megan came prepared with lots of engagement picture ideas and props, including a Hudson Bay blanket and mugs of caramel tea. It was a good thing too, it was a chilly day. 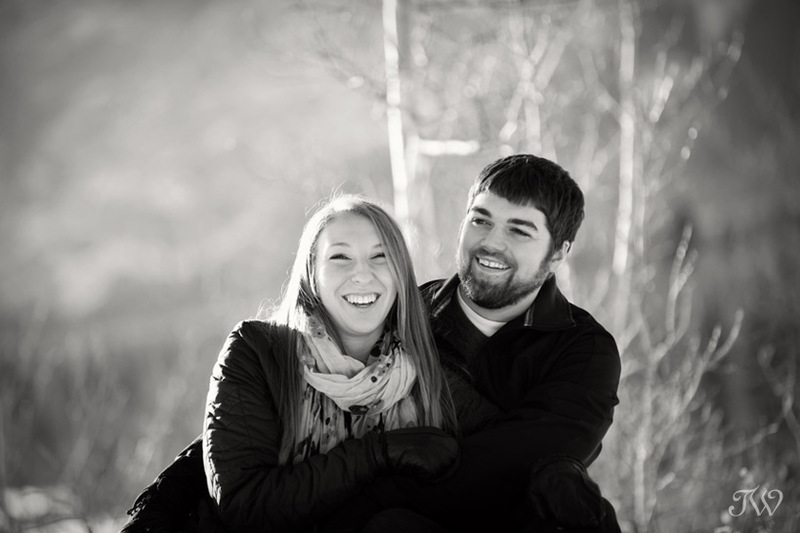 Congratulations Megan and Kurtis! 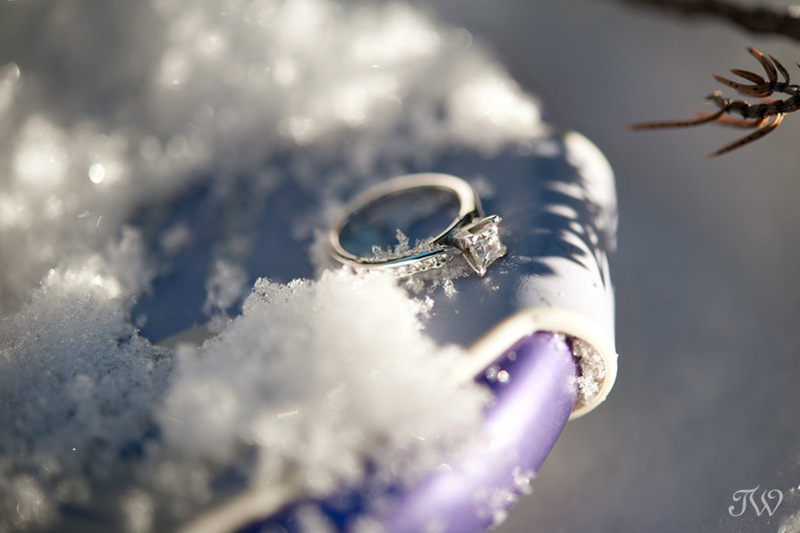 A snow shoe seemed like the perfect backdrop for Megan’s sparkling engagement ring. 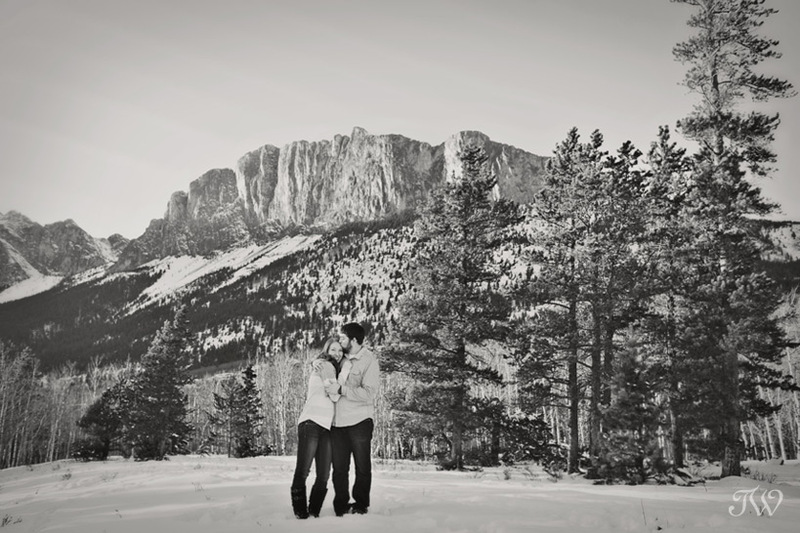 Here’s a mountain proposal that I shot in Banff last summer, if you’d like to see. 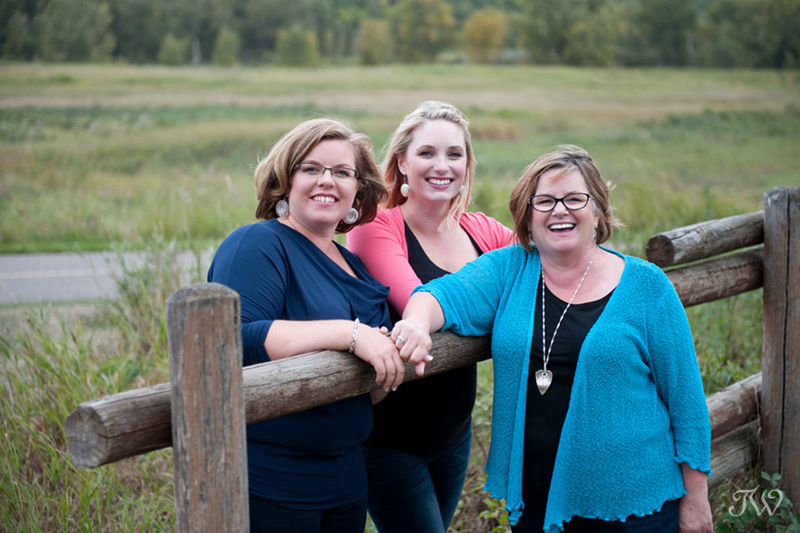 The whole thing was orchestrated by Sharon from Naturally Chic. Is it alright if I squeeze in one more “wrap-up” post from 2014? Recently I posted a selection of sweet wedding moments and today I’m sharing my favourite wedding details from last year. 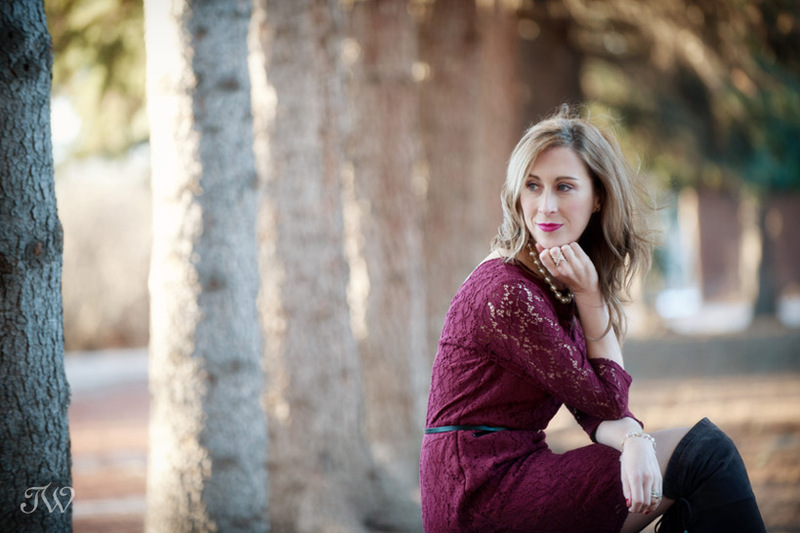 Some are from real weddings and some are part of inspiration shoots that I styled. Today’s bride and groom put a lot of time and effort to ensure that their wedding reflects who they are as a couple. 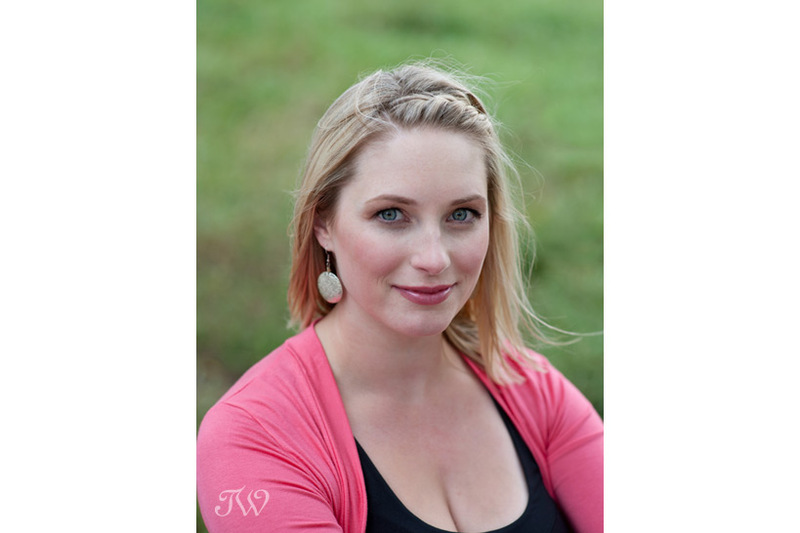 As a result, they often include pretty and personal details that are a delight to photograph. 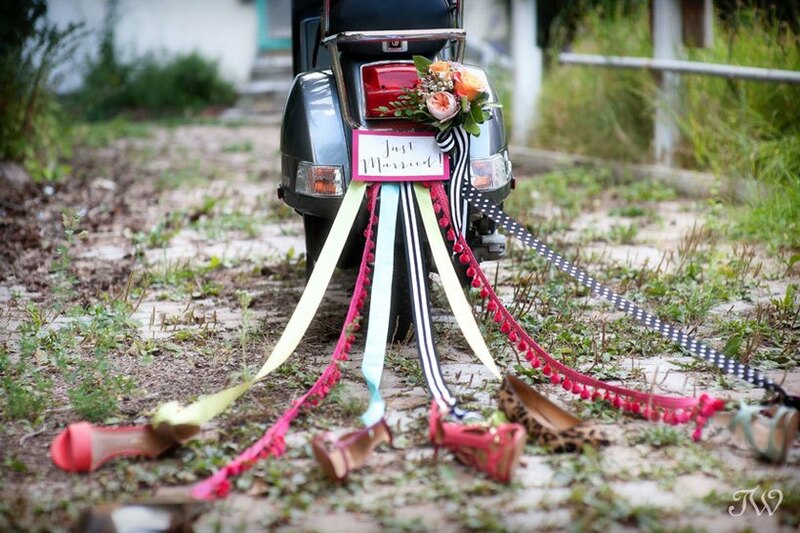 First up is this getaway Vespa with an adorable twist on the tradition of tying shoes to the bumper. 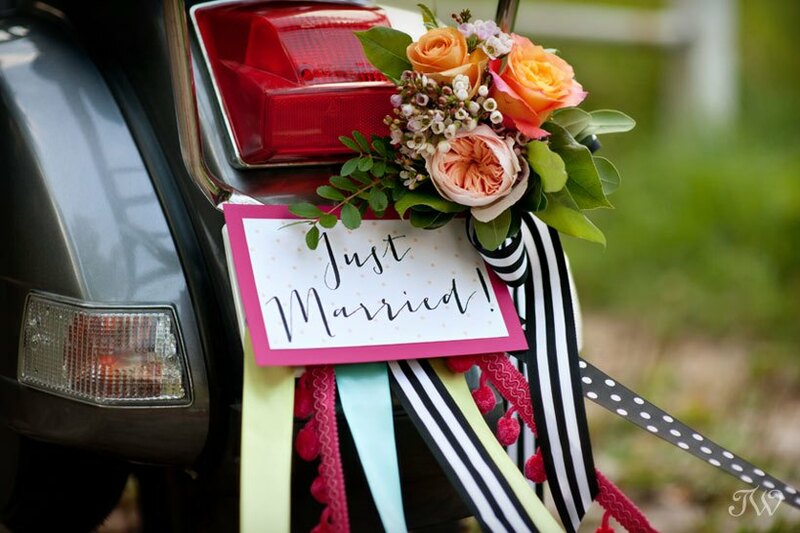 Thanks to Fleurish Flower Shop for the blooms and Modern Pulp for the ‘Just Married’ sign. 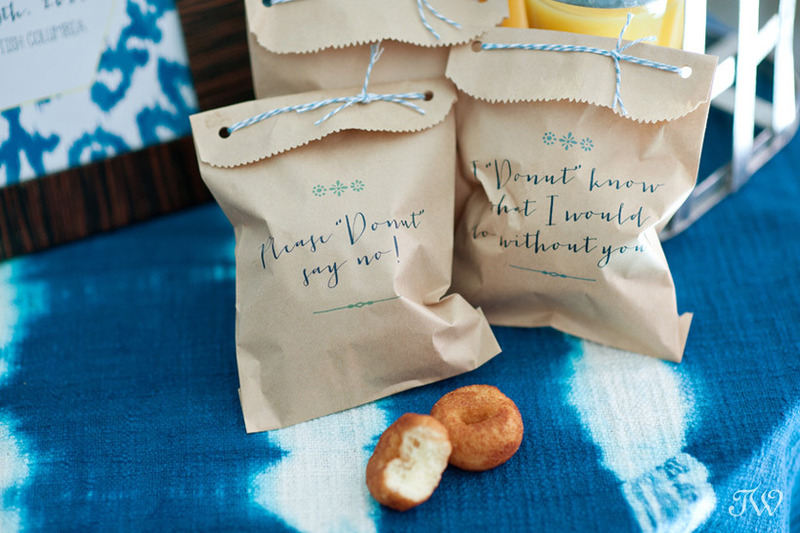 This “will you be my bridesmaid” brunch in Stampede style is a favourite of mine and it’s been very popular on Pinterest. In keeping with the Stampede theme, Ali from Modern Pulp created these bags to hold mini donuts. 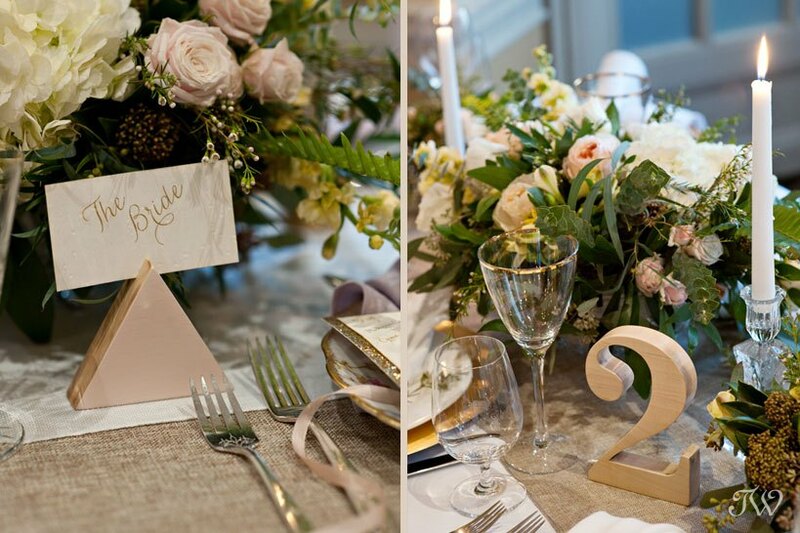 This Spring inspiration shoot in the Oval Room at the Fairmont Palliser Hotel included many pastel touches including these geometric place card holders by Naturally Chic. 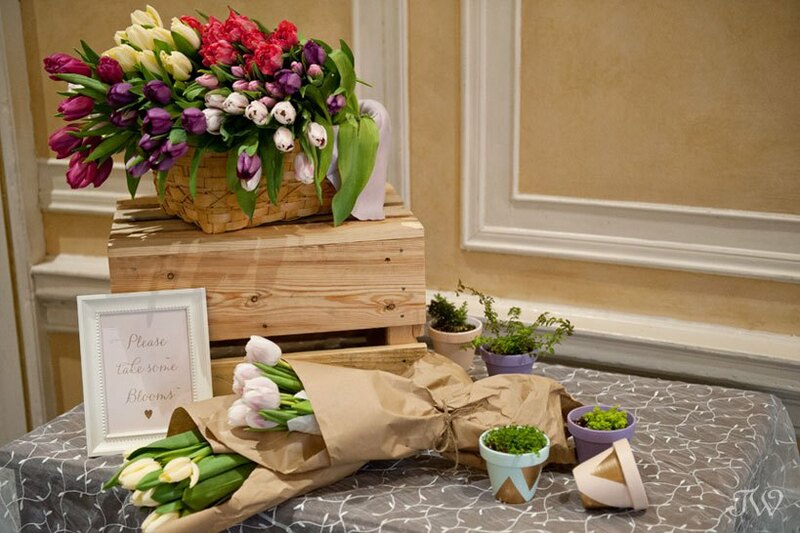 A market-style bundle of tulips wrapped in brown paper, make a cheerful favour for wedding guests. 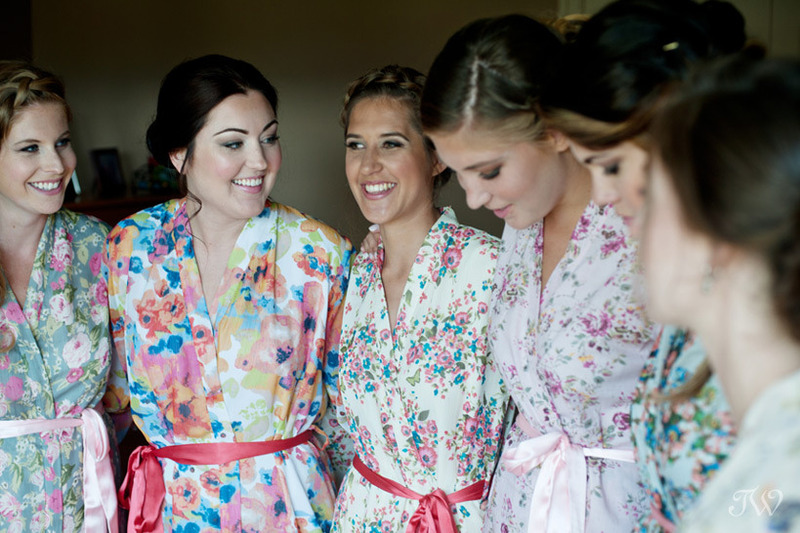 I loved the floral robes from Singing Slowly that Kari gave her bridesmaids before her Kelowna wedding. What a kind and practical treat for her ladies. 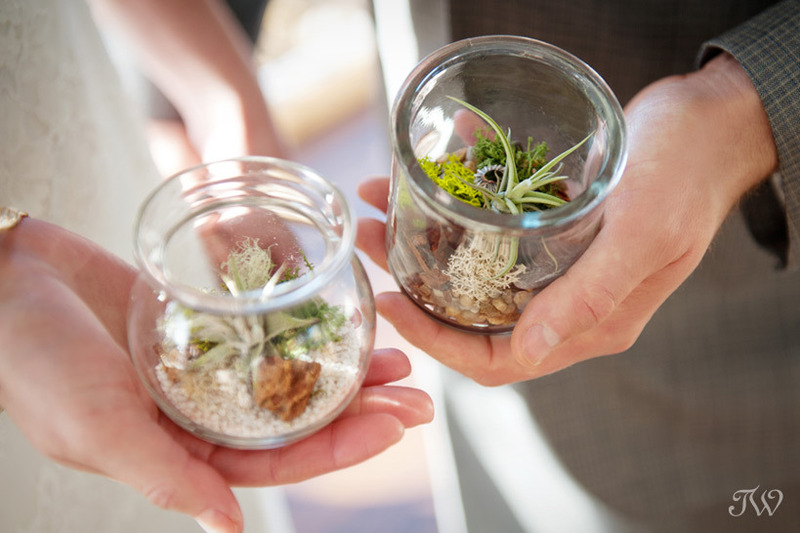 Recently this botanical-themed wedding shoot at Meadow Muse Pavilion was featured in Avenue Magazine. 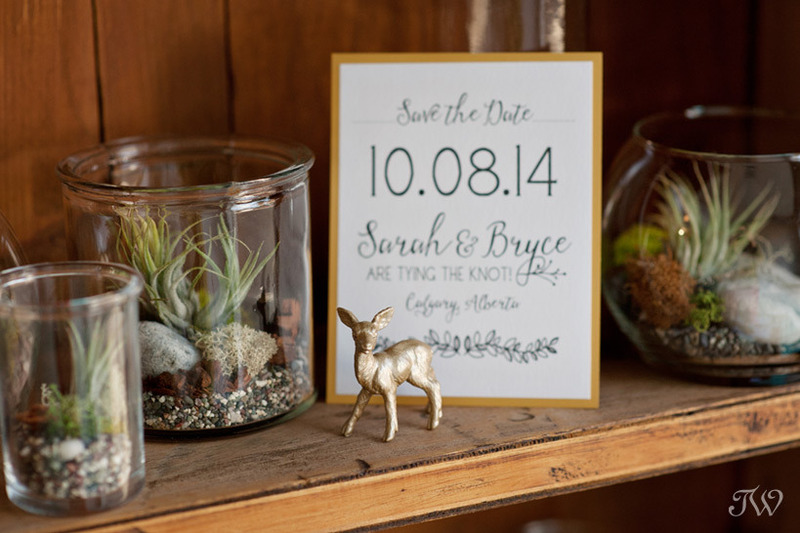 Two of the smallest, yet most impactful details from this shoot were these little gold deer scattered throughout the decor and terrarium favours from Plant in Inglewood. 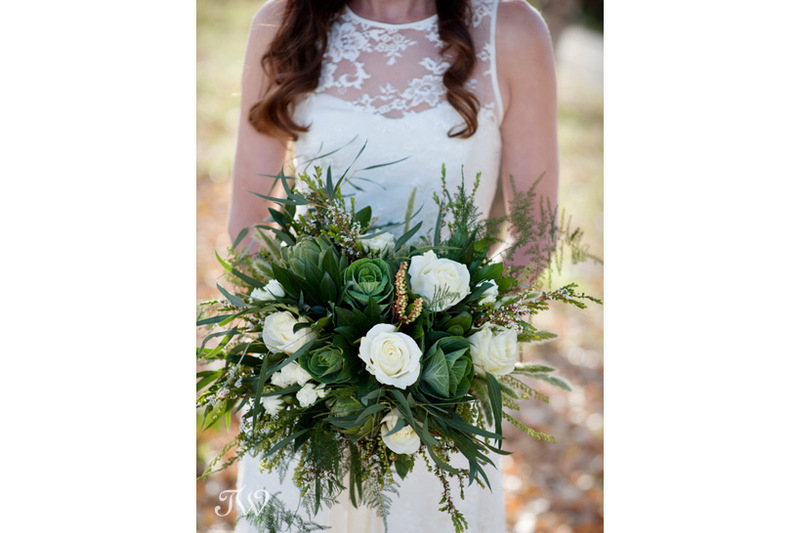 From this same project, I’m completely smitten with this loose and unstructured bouquet from Sarah Mayerson Design, complete with market-fresh ingredients (kale and artichokes). 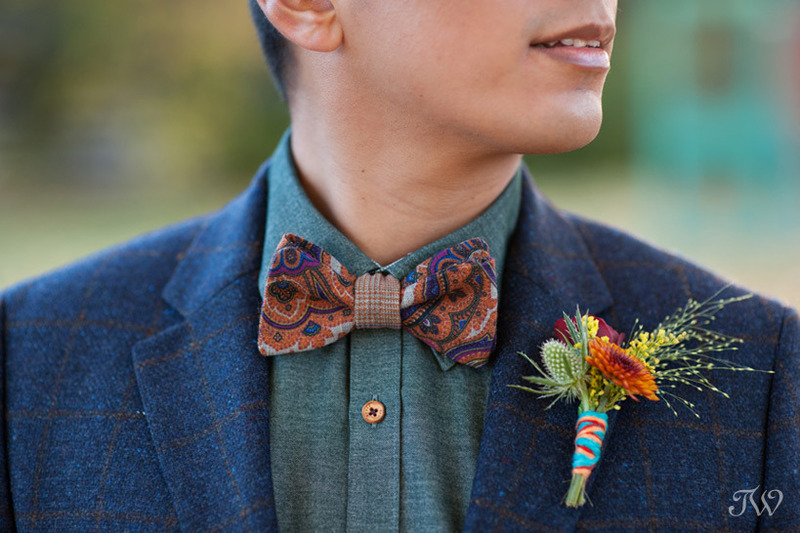 I love the colour and whimsy that yarn from Stash brought to this ceremony inspiration shoot with Flowers by Janie. 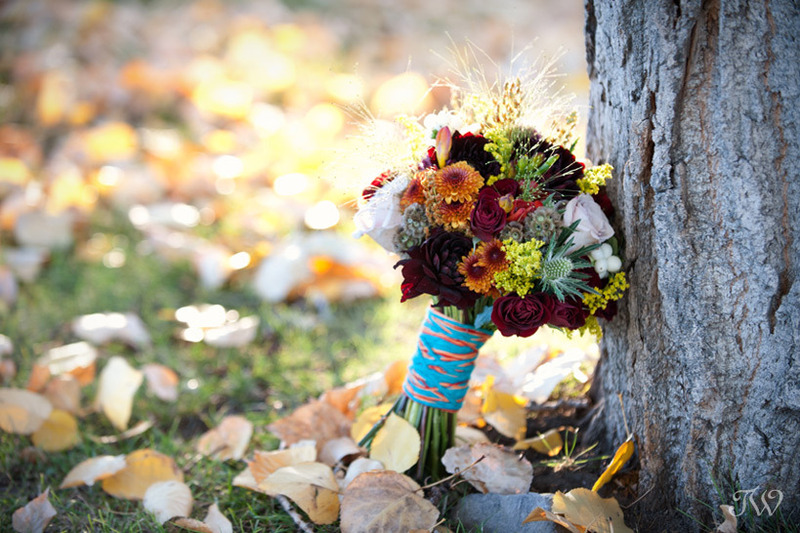 The boutonniere and bouquet were wrapped in colourful strands of seasonal colour. 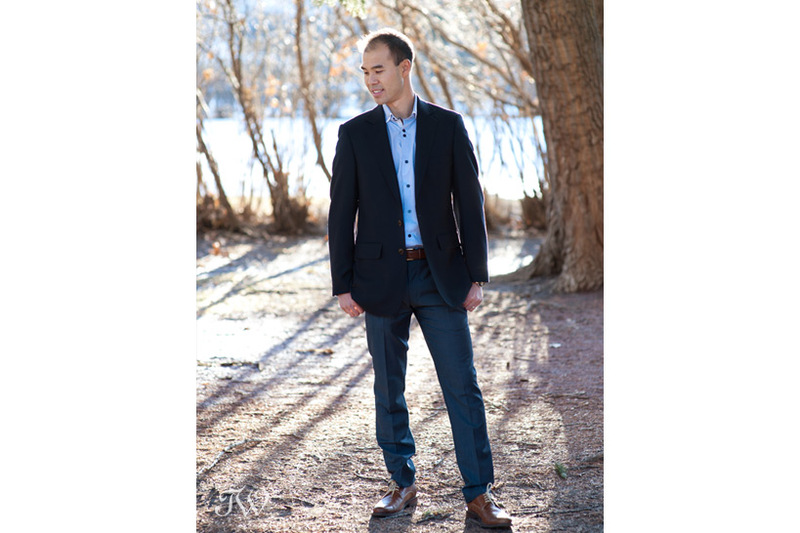 Oscar’s dapper attire came from Ed Williams Menswear in Crowfoot. Be My Valentine? Hmmm, if I’m being perfectly honest, I’m not a fan of Valentine’s Day. It’s commercial, contrived and back in University, my friends and I wore black to commemorate the day (I may or may not still continue this tradition). 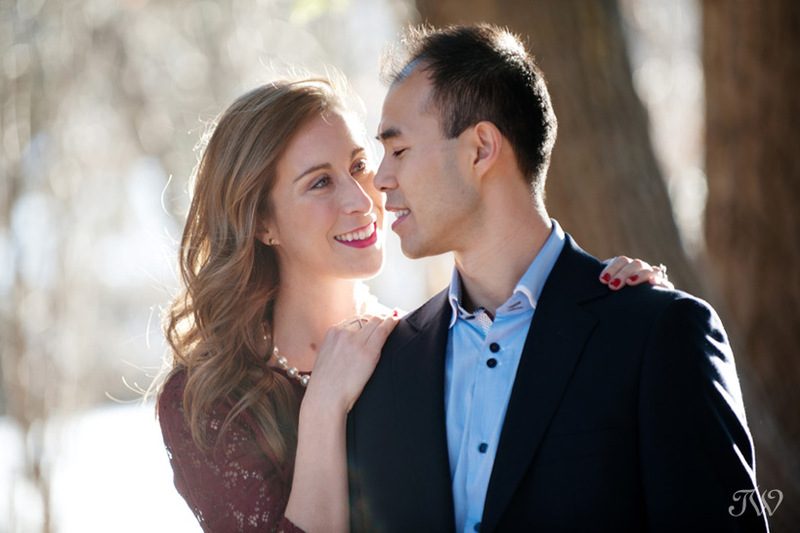 This year I’m going to turn it around and celebrate by focusing on something authentic… real Calgary couples and their true love stories. On Thursday this week, I’ll be starting a series on marriage featuring three couples with fun and thoughtful insight into the institution. What interview would be complete without some pretty pictures so I’ll feature a couple’s shoot with each post. I’ll give you a little hint. 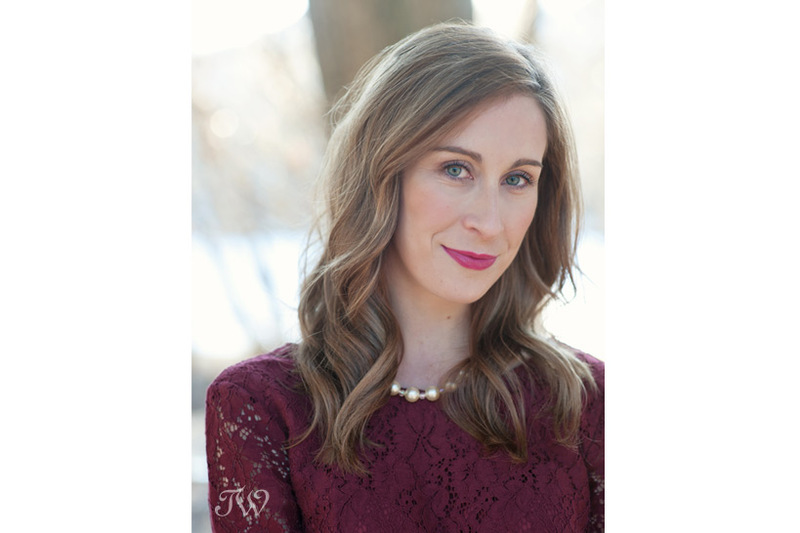 The Mrs from Thursday’s couple is a Style Blogger in Calgary. Don’t miss it. A “breakfast-in-bed” shoot for Valentine’s Day last year, if you’d like to see. 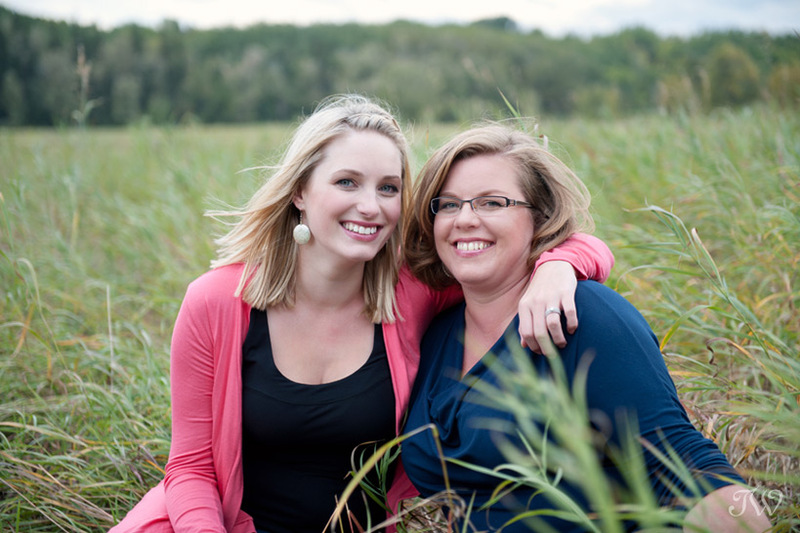 Planning a wedding can be exciting but also stressful. There are so many decisions to make. Hopefully this will make it a little easier for you. 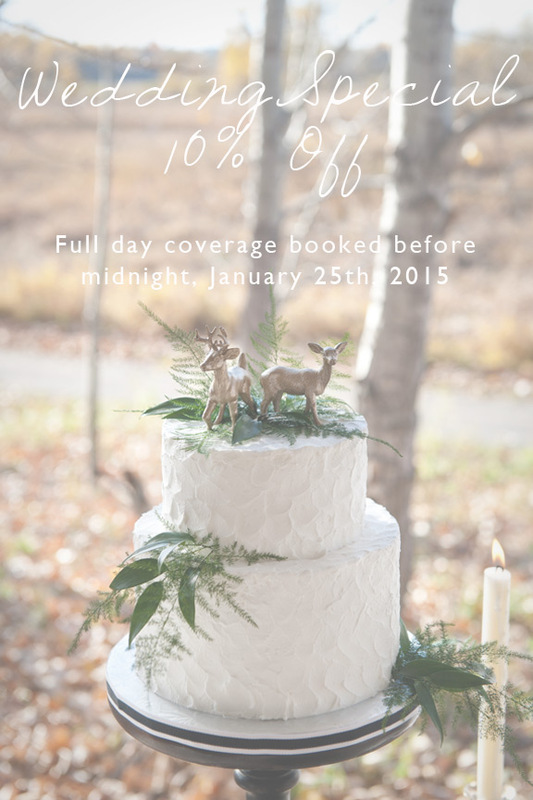 Book your wedding before Sunday at midnight and you qualify for 10% off your full-day wedding package. Scroll down for further details. This special is available to couples being married in 2015. To qualify, couples must book a full-day package (8+ hrs of coverage). Special is only available for new bookings. Contract must be completed before midnight, January 25th. 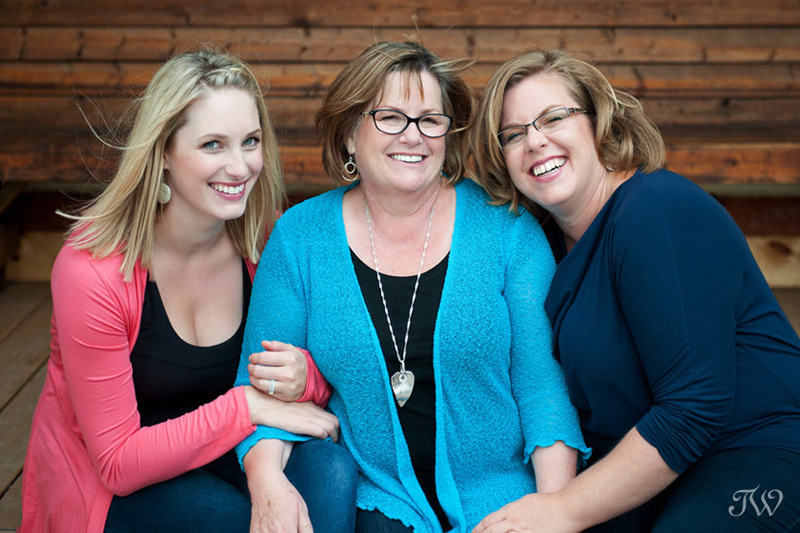 Contact the studio by email at photography@tarawhittaker.com or by phone at 403-247-3746. Cake pictured is by Cakeworks.